Emergency Dentists USA has you covered when it comes to finding an Anchorage emergency dentist when you need immediate dental care! Emergency Dentists USA provides up-to-date information on emergency dentists in Anchorage and a helpful 24-hour hotline that connects you to a live operator. This is especially important if you are new to the Anchorage area or visiting family friends on vacation. A great website to come across when you are facing a dental emergency, they have a ton of information to help with many types of emergencies and their staff was great when I called to find a local dentist. Emergency Dentists USA offers an extensive listing of emergency dentists who are ready to see you when you need them most. It’s easier to find the dentist who fits your needs when you understand what type of dentist offices there are in Anchorage. Walk-in dental clinics offer emergency services without the hassle of waiting days or even weeks for a dental appointment. Walk-in services are available during their regular office hours. Emergency 24-Hour Dental Clinics specialize in being available 24-hours a day, and offer access to an emergency dentist regardless of the time of day or night. After Hours Dentists provide dental care after normal business hours or on the weekends. Choosing an emergency dentist does not have to be a hassle, simply scroll down and select the dentist who suits your needs and your schedule. Emergency Dentists USA makes it simple to choose the right emergency dentist in Anchorage for your dental emergency. Description Don’t trust on the standard 9 to 5 operations in town to get you through an emergency, and get in touch with our referral service to see a late night dentist practitioner immediately! 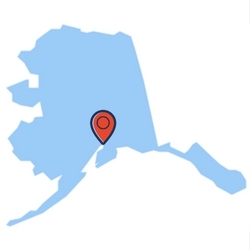 Easily find Alaska emergency dentists with our service. Description: The Anchorage Midtown Dental Center has excellent hours of service, you will be able to find a Saturday dentist or Sunday dentist appointment with them in Anchorage from 8am til 5pm. They are a great choice for an emergency dentist when you are facing a problem on the weekend. Description: Frost Dental is a great option for an after hours and weekend dentist. You can find them in their office from 9am til 3pm on Saturdays, as well as until 6pm most weekdays. This office is a great all-around option if you are looking for urgent care dentist work done asap. Description Offering family dentistry with a gentle touch, this emergency dentist in Anchorage, AK is prepared to address your urgent after hours or weekend dental complications. They advertise that they can accommodate same day appointments as well as accept new patients and children are welcome. Description: This clinic is deemed one of the fastest after hours services in Anchorage, root canals, extractions, broken teeth or those injured in vast outdoor adventures are all welcome here. Description: The office of Peak Health Dentistry is great for after-hours care on Monday and Thursday nights. You can find them in the office until 7pm each of those weeknights. Description:Being open until 6pm Monday through Thursday, this dentist office provides after hours dentist appointments for those of us who have to work 9 to 5. You can rush over to the office after work and get whatever emergency dental procedure done that you need taken care of. Description: Dr. Kiley is an excellent choice if you’re struggling to find an emergency dentist during the week because you can find an apppointment at this office until 6pm on Wednesdays. Visiting your Anchorage emergency dentist is similar to visiting your regular dentist. Gather your recent dental x-rays and any paperwork necessary for your appointment with the emergency dentist and try to arrive at least 15 minutes prior to your emergency dental appointment to fill out any required paperwork. Ensure that your selected dentist takes your payment method and dental insurance. Bring a current list of your medications to the emergency dental visit. Make sure to inform the staff if you have an allergy to any type of medication. Common 24-hour dental emergencies include painful toothaches that may wake you in the middle of the night or even a dangerous abscess. Other common dental emergencies include a lost crown or a loose crown, damaged or broken braces and wires, lost fillings that may or may not be painful, and teeth that are broken or even knocked out completely. Since every situation is unique, you should always see an emergency dentist in the Anchorage area for any of the common dental emergencies listed below. 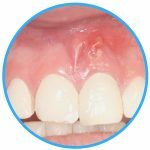 An abscess is an infection that occurs in the gums between the teeth or in the surrounding tissues. This type of abscess can be dangerous because the infection spreads easily to the bone of the jaw. Rinse your mouth several times each day with a mixture of warm water and ½ teaspoon of salt to draw the pus from the infection to the surface of the gum. 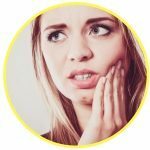 It is extremely important to visit an emergency dentist as soon as possible if you suspect that you have an abscess, before that abscess spreads to other areas of the mouth. Sometimes a crown will become loose if the tooth below the crown has decayed. You might feel pain when the crown falls out because the damaged tooth is then exposed to the foods that you eat and drink. If you are able to find the crown, rinse it carefully and fill it with an over-the-counter dental cement. Place the crown over the tooth if possible. Tooth trauma caused by an accident may result from a fall, a sports injury or even a car accident. If you are able to find pieces of the chipped or broken teeth, or even a whole tooth, rinse these pieces carefully and bring them with you to your emergency dental appointment. If your accident results in an injury to any part of the body, especially the head, it is extremely important to visit your hospital emergency room to ensure that you have no broken bones or other dangerous injuries. You might need an emergency tooth extraction if you have a tooth that has decayed to the point where a dentist is no longer able to repair it. Waiting to have your emergency tooth extraction can cause the tooth to decay more, making the situation more complicated and even more painful. Your Anchorage emergency dentist will begin your visit with an examination and an x-ray. 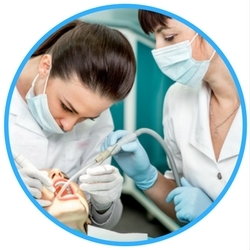 The dentist chooses a local anesthetic or a general anesthetic to numb the area of the tooth. He or she then selects a special tool to pull the tooth out of the gum. The area is often stitched closed and packed with dampened gauze to stop any bleeding. Full healing generally occurs within one to two weeks of the emergency tooth extraction. During the healing period, it is important to follow your dentist’s instructions carefully. Heading to the hospital emergency room rather than your Anchorage emergency dentist is ideal if you have tooth damage that has resulted from a car accident, sports injury or a fall. If you suspect that you might have an injury to other parts of the body, going straight to the ER is an important step. If the damage is only to your teeth, most hospital emergency rooms are not equipped to treat dental emergencies and visiting the ER for a dental emergency only might cause you to end up with two medical bills, since you will most likely be required to follow up with an emergency dentist once you leave the ER. An emergency room physician can confirm that you have no injuries other than tooth damage, select appropriate medications if necessary and refer you to an Anchorage emergency dentist for the actual repair of your teeth. When you select a new dentist, it is important to check his or her credentials and ensure that the dentist is licensed to practice in Alaska. You can use the American Dental Association website located here: www.ada.org to search for your Anchorage emergency dentist and check the credentialing. You can also use the Alaska Dental Society website located here: www.akdental.org to verify your dentist’s credentials and even get information about his or her dental practice. Anchorage has its own dental society located here: http://www.anchds.org/. The website offers information regarding dental care and local dental services.